I am hosting my next quarterly meeting this Thursday, March 21 at 6 p.m. In addition to holding a Q&A session, I have invited Surprise Center Development Company to host a community input session on the Surprise City Center. Come share your ideas for future development! This is a great opportunity to help build a downtown core – a place to live, work, shop, eat, play and gather! It’s a chance to help guide growth that ties into our existing Surprise Recreation Campus, Civic Center and Ottawa University. 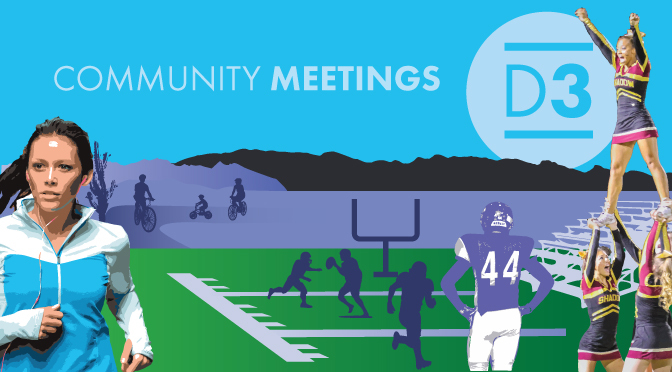 The meeting will be held on Thursday, March 21 at 6 p.m. at Larry H. Miller Chrysler Jeep Dodge Ram Surprise, located at 13165 N. Auto Show Ave. Surprise, AZ 85388. I look forward to seeing you! Plus, you can always reach out to me at patrick.duffy@surpriseaz.gov or 623.222.1323. Additionally, you can connect with me on Twitter at @Surprise_D3 and Facebook at https://www.facebook.com/PatrickDuffyD3. It’s hard to believe the spring season is rapidly approaching. The first two months of 2019 have been very busy for City Council. We began this year by appointing Councilman David Sanders for the District 5 seat that had been vacated by Mayor Skip Hall in late November. Several of us took the Oath of Office and began our new elected terms. The City formed a new commission to assist in the development and expansion of citing programming related to veterans, people with special needs and those in need of general human services and workforce development. City Council also joined staff from our Community and Recreation Services (CRS) Department and our CRS Advisory Commission to tour all of our city parks. Congresswoman Debbie Lesko visited Surprise in February. Mayor Skip Hall provided an update on our City Council initiatives and the continued growth of Surprise. The City’s FY20 budget building process also kicked off in mid-February. The recommended budget is scheduled for release in April, followed by Council and public review that will result in the adoption of a balanced FY20 budget in June. Our new fiscal year begins July 1, 2019. City Council recently welcomed several new businesses to Surprise. Café Rio, located at the northwest corner of Litchfield and Waddell roads, opened in December. Hammer & Stain, a local DIY workshop studio located at 17126 N. 134th Drive, Suite 2, held their grand opening on January 26; My Goodies Bakery located at 15170 W. Bell Road, Suite 106, held their ribbon cutting on February 1; Destiny Spring Behavioral Health Hospital opened last month. They are located at 17300 N. Dysart Road. Lastly, Champs Family Automotive expanded their business and hosted a ribbon cutting at their new location, 17141 N. Dysart Road. The City will utilize Work Sessions through April 2 to discuss the budget and review budget items. The Work Sessions begin at 4 p.m.
March 11: Budget presentation for Community Development and Economic Development. *Special meeting to follow at 5 pm for action on Development Impact Fees. In November 2018, City Council approved the creation of a Water Conservation Specialist position. While water conservation is already a part of the City’s Water Resource Management (WRM) Department’s responsibilities; it has been one of many program focuses of WRM. Now, with the creation of this position, Council has given staff the go ahead to take the water conservation program to a new level. 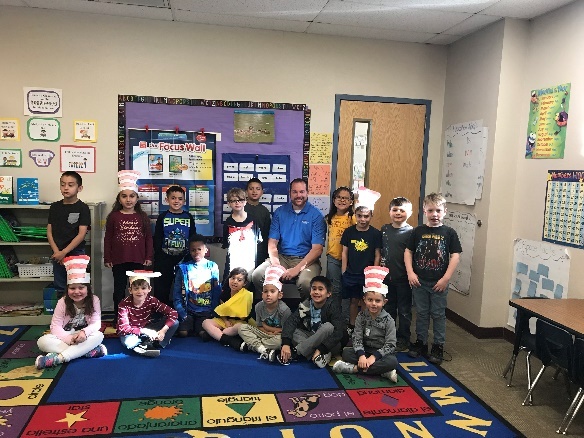 It is the vision of WRM to expand the education and outreach opportunities and offer additional more personalized services to our customers to assist them in managing their water use. Proper water management will help conserve water and save money. The recruitment for the position occurred in December 2018 and was completed in January 2019. Amy Peterson, currently a wastewater operator with the City, was selected. Amy is a graduate of the GateWay Community College Water/Wastewater Technology Program which is taught at the Surprise SPA1 Water Campus. The southwest region of the United States has been in a drought for over 15 years. While Arizona has managed the use of its water exceptionally well since the passing of the 1980 Groundwater Management Act, this recent drought has caused one of the State’s water sources, the Colorado River, to produce less and less water. Whether or not these reduced levels are a snap shot in time or the new normal, the water from the Colorado has to be managed and preserved. In late January, the State of Arizona approved the Colorado River Drought Contingency Plan (DCP). The DCP is a plan that is aimed at better managing the water from the Colorado, at least in the short term. Previous rules for managing times when the River produces less water stated that Arizona would take the largest reductions in water during these times, while California would see no reductions to its river allocation. The DCP revises these rules and spreads the reductions on the river amongst its users. In addition, it allows for those most affected by Arizona’s water reductions, the farming community, funding to construct new infrastructure to keep water flowing to their farms. 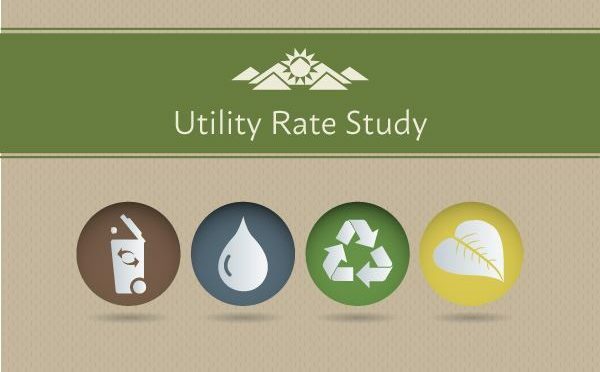 City Council approved the Utility Rate Study, effectively adjusting the five-year rate schedule for city-serviced solid waste customers at the beginning of fiscal year (FY) 2020 which begins on July 1, 2019. Single-family solid waste customers will pay a monthly base rate of $20.70 starting July 1, 2019 and with another scheduled increase to $23.40 on July 1, 2020. The rate schedule will then increase the rate by $0.10 each fiscal year beginning in 2021, bringing the rate to $23.70 on July 1, 2023. Residential water and wastewater utility rates will remain unchanged in FY 2020-2024. This is the first significant solid waste increase since 2010; a $0.33 rate increase did go into effect in FY 2019. There were no increases for more than 8 years between January 1, 2010 and July 1, 2018.The Utility Rate Study was initiated in November 2018 to review utility base rates and create a five-year structured schedule based on the revenues required to operate utilities and maintain infrastructure while also considering asset replacement and emergency funding needs. Information regarding the Utility Rate Study can be found online at surpriseaz.gov/utilityratesinfo. Spring training games are the number one fan favorite to soak in the afternoon sun. The Kansas City Royals and Texas Rangers will be back in town and ready to start the season. Please visit www.surprisestadium.com for a full schedule and ticket pricing. The City of Surprise, in coordination with Food Truck Friday West, continues to present Sunday in the Park Food Truck Festival with live music! Mark your calendars for Sunday, March 10 from 5 pm until 8 pm featuring music by Lane Change. The event is held at Mark Coronado Park, 15960 N Bullard Ave. Event admission is free; food and drink are available for purchase. This is a great opportunity to enjoy live entertainment and unique food trucks that the whole family will love. Don’t forget a blanket or lawn chair and remember all dogs must be on leashes. Please visit www.surpriseaz.gov for dates. Summer Camp is a fun-filled program which includes crafts, games, field trips and guest speakers. This program is state licensed; therefore, a copy of birth certificate and immunizations as well as additional paperwork is required. Parents will be required to sign their child in and out each day. Field trips may include but are not limited to: bowling, laser tag, water park, roller skating, movies, Surprise Pools, Amazing Jakes, and more! Weekly fee guarantees spot and are listed below. Register at the Community and Recreation Services office at 15960 N. Bullard Ave. Resident registration beings on Monday, March 11th and Non-resident registration begins Monday, April 2nd. *Registration fee of $30 per child and first week’s fee due at time of registration. There will be a youth baseball & softball camp March 19-21. Summer Youth Basketball League registration will begin on April 8. The season will run Late May-July. Registration for our spring adult sports programs will begin March 11. We are anticipating approximately 100 teams participating. Annual Pitch, Hit & Run & Home Run Derby Competition will take place on Saturday, April 27. Babe Ruth Baseball League for 13-15 yr. olds will start the week of April 22. Be sure to check out these other awesome events! Fire Station 303 (located at 15440 N Cotton Lane) will be hosting an open house on Saturday, March 2 from 9am-12pm. Families can meet the firefighters, tour the facilities and see the fire trucks. Free event to everyone. Spring cleaning is soon to be in full effect and the City of Surprise is offering a residential waste cleanup event on March 9 from 7:00am-1:00pm. Surprise Residents may bring one load (up to 2000 lbs) to the NW Regional Landfill, 19401 W Deer Valley Road, for no charge. Please ensure you bring a proof of residency to take advantage of this event. Spring Eggstravaganza is back on April 20 from 7:30 am -12:00 pm. 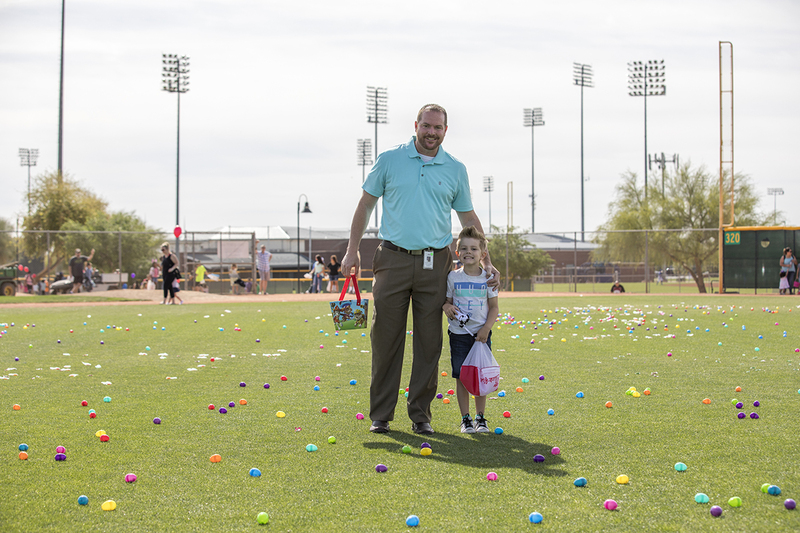 Children from toddler to ten years old are invited to join in the hunt for over 50,000 candy and toy filled eggs. This is a free, family-friendly event with face painters, balloon artists, inflatables and of course, Mr. and Mrs. Bunny. Surprise Talent Show will be held at Valley Vista High School on April 26th from 6:00-8:00 pm. If you have talent. be sure you register for this fun event. All registrations must be in by March 1st at 5:00 pm. Please visit www.surpriseaz.gov/specialevents for registration link. All tickets to the event will be $3 advance or $5 at the door. There is no cost for auditions. Just before the heat arrives, the city will be hosting Movie Night. Come down to Mark Coronado Park on May 11 and watch Small Foot on the big screen. Gates will open at 6:00 pm with movie starting at 7:00. This event is free, and don’t forget your blanket and popcorn. The City of Surprise will host the Level 4 Youth Event on March 9 from 7:00 pm-10:00 pm. There will be dancing, food, art and a view from the 4th level of the parking garage. This is a free event with a high school ID. Please call 623-222-1033 for more information. Join other teens from Surprise and tour the ASU and/or U of A campus to learn all about what the Universities have to offer. The University of Arizona tour will be March 20 and the Arizona State University tour will be March 21. Trips are only $5! The City is offering a summer job program for income-eligible Surprise teens between the ages of 15 – 19. Through the City Council-approved Summer Youth Employment Program (SYEP), applicants must be available to work up to 25 hours a week for six weeks between June 17 and July 26. Chosen interns will earn $11.00 per hour. Twenty-five interns will be selected to receive professional development training; from shadowing a building inspector to working with seniors. Electronic application submissions will be accepted through Sunday, March 31; in-person submissions will be accepted during normal City Hall business hours through Friday, March 29 at 5 p.m. For questions, please contact Lord Garcillano at lord.garcillano@surpriseaz.gov or 623.222.1035. The city is recruiting new members for the Surprise Youth Council (SYC) – a group of groundbreaking teens who are making a difference in their community! SYC members serve the community by collaborating with local leaders, including the Mayor and City Council, to give youth a voice in city issues and to help solve youth issues through awareness campaigns, service projects, and community-building events. Students who are currently in grades 7-11 may apply, as long as they are attending a middle school or high school within the Surprise city limits, attending a Dysart Unified School District high school, or reside within Surprise city limits. If you could bring one thing to this city or change one thing, what would it be? What can you and a group like SYC do about it? Briefly tell us about a time you were fearless, creative or hardworking. The videos should be sent to Youth Services Coordinator Lord Garcillano by uploading your application video from your Google Drive and sharing it with cityofsurpriseyouth@gmail.com. Applicants must also have a parent or guardian complete and return a Parent Acknowledgement Form. For questions or more information, please contact Lord Garcillano at 623.222.1035 or lord.garcillano@surpriseaz.gov or visit www.surpriseaz.gov/syc. In closing, I wanted to be sure you are aware of the State of the City event and City Hall 10 Year Anniversary Celebration. The event will be held at Surprise City Hall, 16000 N. Civic Center Plaza on Thursday, March 28 from 6 pm until 8 pm. This is your opportunity to hear an update on the city’s accomplishments and the vision for the future and to meet staff and City Council. Please stay afterwards for a celebration of the anniversary of our current City Hall building with food, entertainment, games, a showcase of the city’s programs and services and more! As a reminder, City Council agendas are posted online at www.surpriseaz.gov/agendas at least two business days before the meeting. City Council meets the first and third Tuesdays of each month. Work Sessions are at 4 p.m. and Regular Meetings begin at 6 p.m. All meetings are carried live on Surprise TV for cable customers and streamed online at www.surpriseaz.gov/surpriseTV. It’s hard to believe we are rapidly approaching the end of 2018. The weather is changing, and the holidays are right around the corner. The last quarter has been very busy with both the primary and general elections. City Manager Bob Wingenroth also announced his resignation last month, and he will be replaced by former Police Chief and Assistant City Manager Michael Frazier. While we are excited about the future, I’d be remiss not to acknowledge everything Bob has contributed to the city. He was an asset to Surprise and is a friend to all who know him. His legacy will live on for years to come! In early October, the City of Surprise attended the International Economic Development Council (IEDC) Annual Conference held in Atlanta, Georgia. Each year, Excellence in Economic Development Awards are given to exemplary economic development projects and programs. At this year’s conference, the City of Surprise was awarded the Bronze Award for Business Retention & Expansion – 3 Years or More, for the City of Surprise Retail Survey Program. The Arizona Association of Economic Development (AAED) Fall Forum was held in Flagstaff, Arizona. The conference hosts industry and government professionals which provides for networking and educational opportunities. 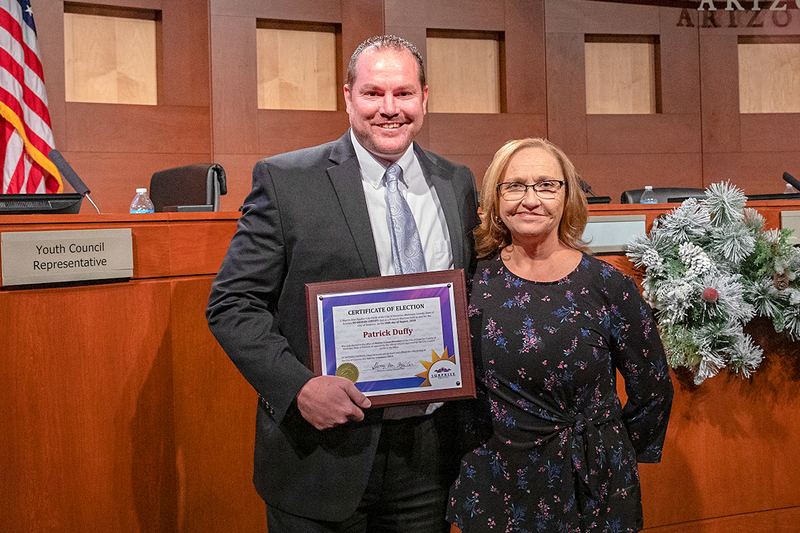 During this event, the City of Surprise was given the Golden Prospector Award for Economic Development Program for the City of Surprise Retail Survey Business Retention & Expansion Strategy. 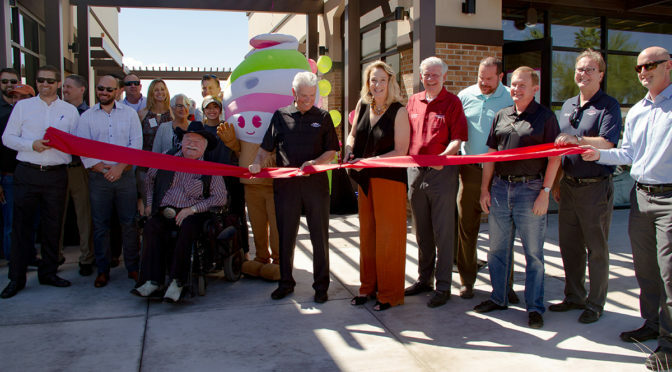 A number of new businesses have recently opened operations in the Surprise community. Planet Fitness is the latest gym to open their doors and is located at the southwestern corner of Bell Road and Reems Road. Also located on Bell Road, AZ Fry Guy held their grand opening on October 12th. The soul food restaurant started as a food truck and won Best of Phoenix – Best Fried Chicken in 2017. Surprise also has many projects that are currently under construction including Trimaco (paint supply manufacturer), Southwest Kidney Institute, Central Garden & Pet (pet supply manufacturer), Destiny Springs Behavioral Health Hospital, and Ottawa University’s new athletic facility and student housing complex. Seattle-Tacoma Box Company recently hosted a groundbreaking late last month at their future location in our Industrial complex. The company specializes in polypropylene carton manufacturing. 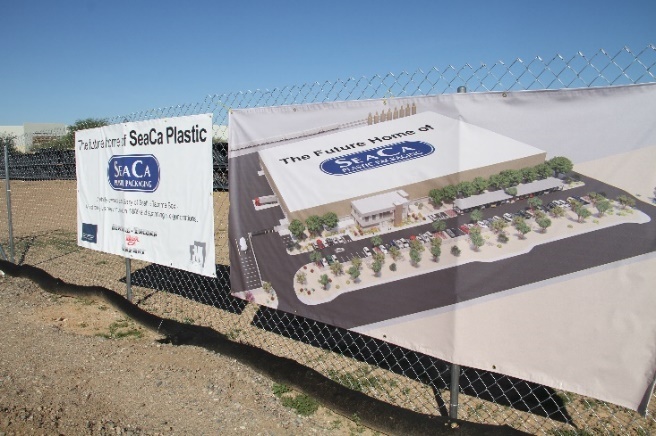 Their Surprise plant is scheduled for completion by April 2019, marking the eighth location between Seattle Tacoma and SeaCa Packaging. 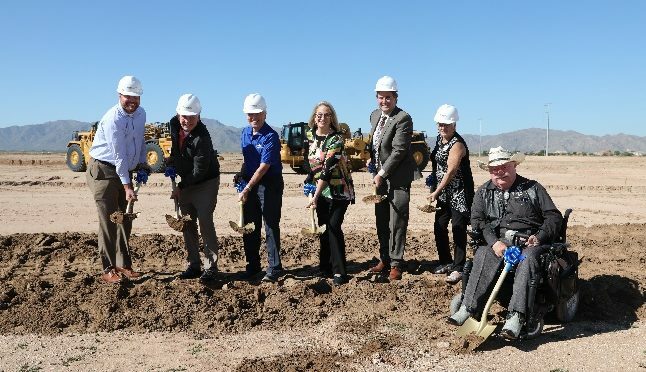 With plans to hire for 65 phase one jobs, this facility anticipates at $17 million capital investment into Greater Phoenix and will serve it growing customer base nationwide. Seattle Tacoma Box Company is a 6th generation family-owned company that is headquartered in Seattle, Washington. 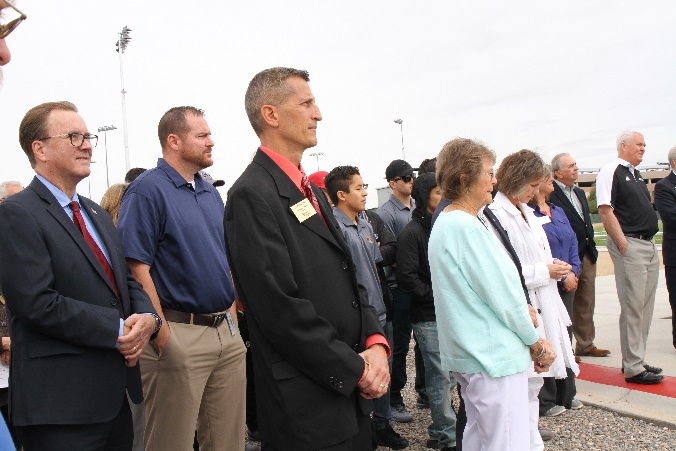 In September, the City of Surprise held its first-ever industrial job fair at West-MEC’s Northwest Campus. The event was highly successful. Thirteen local employers participated, and 20 percent of job seekers in attendance were hired or offered positions. The City has various pavement preservation projects being performed, including Reems Road between Cactus and Greenway roads, which included signal and sidewalk ramp upgrades as well. The two General Obligation Bond projects in this district are underway and the conceptual design reports for each roadway have been completed. The designs are now progressing toward the 90 percent completion phase. Construction will begin on Waddell Road in the summer of 2019 (including signal installation at Waddell & Sarival intersection), while Greenway Road construction will begin in the summer of 2020. On the developer side of transportation improvements, Toll Brothers has started grading their site, and roadway improvements to the south side of Cactus from Cotton to Citrus are planned to take place in the next year to year and a half. The intersection at Cotton and Cactus will see some improvements. The north half of Peoria Avenue from the Cotton Road intersection to Perryville is planned to be built over the next year. New developments between 175th, Cotton, Waddell and Cactus will improve sections of Cactus, 175th, Waddell, Sweetwater and Cotton. These may not be complete improvements, but Sweetwater will provide a significant connection between 175th and Cotton. No timeline has been set yet for these improvements; however, updates will be shared as more information is known. 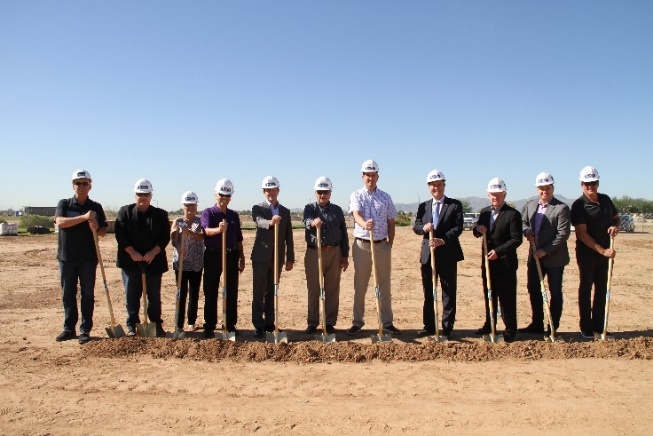 Luxury Home Builder Toll Brothers held a groundbreaking ceremony on Tuesday, October 30. 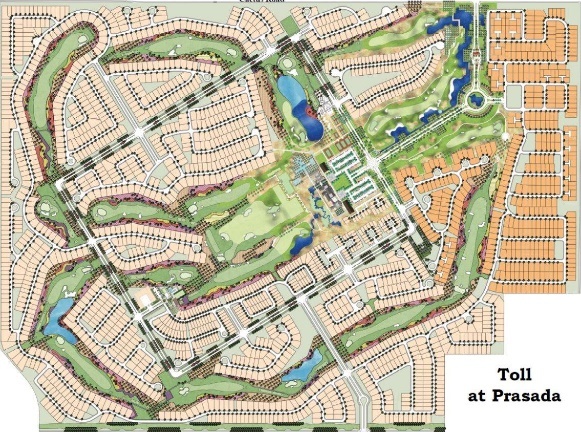 The home builder is grading 800 acres for their 2,200 home development which will be a gated, golf course community just south of Cactus Road and west of Cotton Lane in District 3. They plan to begin selling in January 2020. Homes will range from 1,600 square feet to 5,000 square feet with prices between the low $300,000’s up to $750,000. 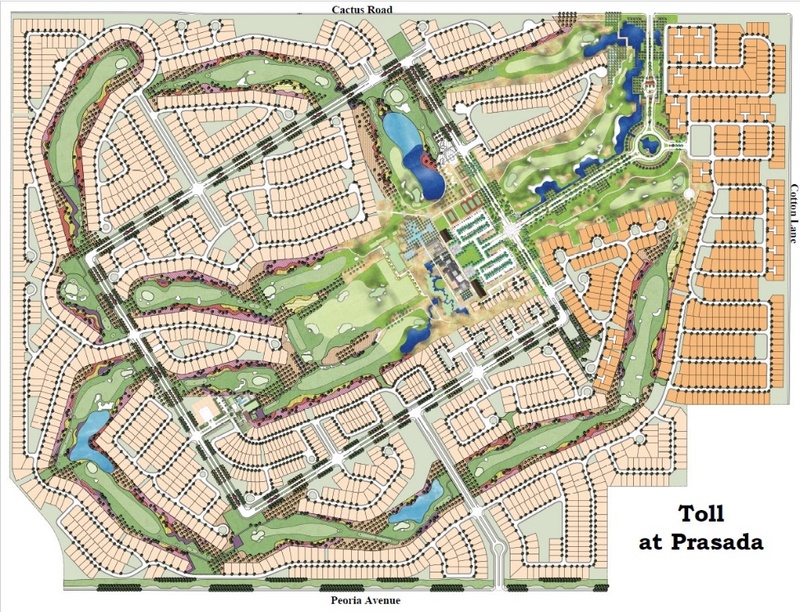 Staff is currently reviewing the landscape plans for the Toll at Prasada Golf Course located at the southwest corner of Cotton Ln and Cactus Rd. The Carioca Greenway Crossing Center, located at the northeast corner of Loop 303 and Greenway, has submitted a proposal for a gas station. If the project continues to move forward, it would go through the Site Plan review process. Christopher Todd at Rancho Trugold Rezone: The project is currently under review (a Preplat, Final Plat and Site plan as well). The project is a rental project and is proposed at the northwest corner of Cotton Ln and Sweetwater Ave. This project was part of the former Magnolia project. Crasense Automotive, proposed in the Prasada Auto Show, would include a facility to sell preowned cars – with a new 10,806 SF building and 2,925 canopy. This project is being processed as a site plan. 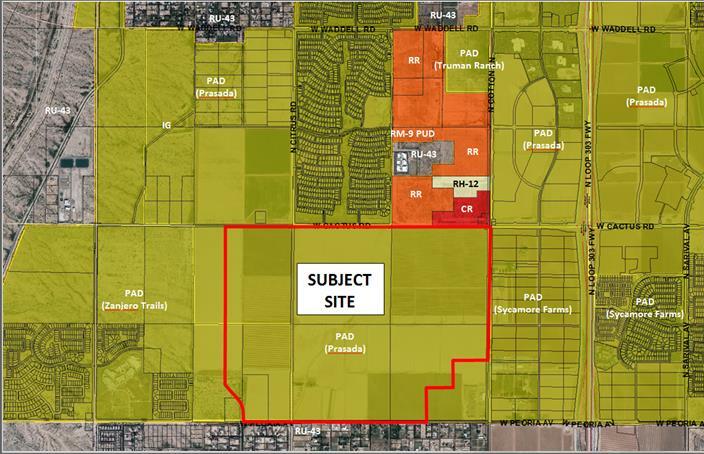 Gehan Homes has proposed a new residential subdivision located the northeast corner of Cactus Rd and 175th Avenue. The project requires a rezoning and a subdivision to move forward. This project was part of the former Magnolia project. Walmart at Prasada has submitted an online Grocery Addition to modify their site which was approved by the City on September 6th, 2018. A dental office located at 15180 N Cotton has submitted plans for tenant improvement which is being reviewed by staff. The CVS Pharmacy at 15300 N Cotton has been issued permits to modify its interior. Highland Prep Charter School has been issued a final certificate of occupancy. LK Nails and Spa, located at 16995 W Greenway, has been issued their final certificate of occupancy. The Surprise Stadium has been very active the past few months hosting numerous baseball tournaments. The first tournament was the USA Baseball U16 division, which took place July 1-7. This tournament featured 46 teams comprised of some of the best youth baseball players in the nation. There were a total of 124 games played during this week-long tournament. The Don Mattingly World Series, which took place at the Surprise Stadium July 13-18, featured 16 teams; and the Ken Griffey World Series was held July 20-25 and featured 12 teams. The Surprise Stadium also hosted the 13-15 year old and 13-year-old Babe Ruth Regional Tournaments July 23-28. Both of these tournaments featured the Babe Ruth League State Championship teams from Northern California, Central California, Southern California, Utah, Hawaii, Guam and Arizona competing for the chance to advance to the Babe Ruth World Series. September 21-24, the Perfect Game Fall National Championship took place. This first year event for Surprise was comprised of 50 of the most elite U17 baseball teams from nine different states. The National Adult Baseball Association World Series also played games September 28 and 30. And, finishing it up, the Stadium facilitated the 2018 Texas Rangers and Kansas City Royals Arizona Summer League season. The Surprise Tennis and Racquet Complex also had some action over the summer. The Complex hosted the annual Surprise Summer Lights Tennis Tournament July 26-28. A total of 157 players participated in this event. Fall youth sports leagues have been busy, as usual. The fall soccer and flag football season is coming to a close. There were 188 teams and over 2,000 participants in Family Fun Day this past Saturday. Tee-Ball, baseball, softball and volleyball had 175 teams and over 1,500 participants. The 2018 West Valley Fall League #2 was held on October 6 at Surprise Aquatic Center. There were176 athletes from eight teams – Surprise Storm, Arizona Swimming Gauchos, Vitras, Anthem Dolphins, Arizona Aquatic Club, Lumber Jax Aquatics, Sun West Swimming and Flagstaff Snow Sharks. The Surprise Recreation Campus will kick off the winter season with the 17th Annual Surprise Party on November 30 & December 1 in celebration of our community and anniversary of the Surprise Recreation Campus. Surprise City Council would like to invite families to gather as they illuminate the night with the traditional holiday tree lighting ceremony on Friday evening, November 30. The evening’s festivities will be followed by a series of live entertainment featuring bands, strolling street performances, a traditional hot air balloon glow, Santa’s workshop, sky divers and an amazing display of fireworks. The fun and excitement will continue Saturday, December 1 with entertainment featuring live dance performances by our City of Surprise dance troupes, specialty shows, camel rides, a carnival, petting zoo, a classic car show, and great food. New this year will be an ice skating rink, and Santa’s workshop will be open the week after the event, so bring your kiddos to the Recreation Campus for a picture with Santa! Sierra Montana Recreation Center is open 3:30 – 6:30 p.m. during the week and offers a wide array of daily activities where youth (ages 11 & older) can visit with friends and get involved within their local community. Youth enjoy Rec Nights which are themed dances held at Sierra Montana Recreation Center. Upcoming dates include November 9 and December 14 from 7-10 p.m.
On the go? Maricopa County Library District offers electronic downloads and streaming available 24/7 for tablets, smartphones, eReaders, and computers! Thank you all for your continued support! I look forward to completing the term I was elected by you to serve. 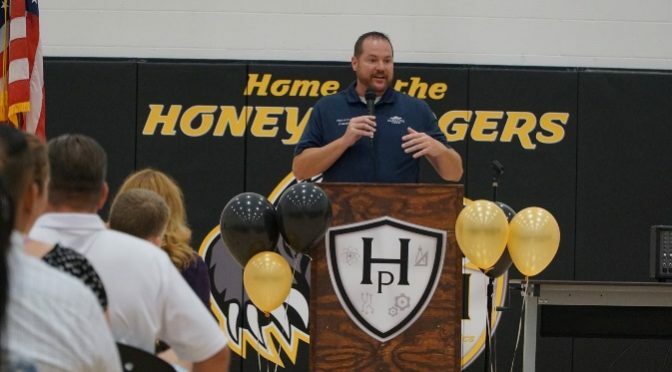 I hope to see you at my next District meeting on Tuesday, November 27 at Larry H. Miller Chrysler Jeep Dodge Ram, 13165 N. Autoshow Avenue at 6 p.m. Also, Ottawa University has accepted an invitation from the National Christian College Athletic Association (NCCAA) to serve as host and participant in the 2018 NCCAA Victory Bowl Invitational. The Spirit will welcome Olivet Nazarene to Spirit Field in Surprise on Friday, November 30 at 7 p.m. We hope to see you there! Plan to attend a District 3 meeting to learn about the proposed Utility Rate Study. The meeting will be held at 6 p.m. on Thursday, November 27, at Larry H. Miller Chrysler Jeep Dodge Ram, 13165 N. Autoshow Avenue, Surprise. Surprise City Council was presented with the proposed Utility Rate Study during the Tuesday, November 6 Regular City Council Work Session that, if approved, would adjust city-provided solid waste utility base rates in fiscal year (FY) 2020 which begins on July 1, 2019. Water and wastewater utility rates would remain unchanged in FY 2020. The city reviews utility base rates and creates a five-year structure schedule based on the revenues required to operate utilities and maintain infrastructure while also considering asset replacement and emergency funding needs. Economic influences such as increases in operational resources and future growth are also considered when adjusting the rates. The last Rate Study was implemented in FY 2014. If the Utility Rate Study is approved in February, city-serviced single-family residential solid waste customers would see one of two new base rate options presented to Council. The first is a base rate of $22.40 per month, a $5.44 per month increase. The rate schedule would also raise the solid waste rate by $0.30 each fiscal year beginning in 2020, bringing the rate to $23.60 in FY 2024. The second option is a base rate of $20.70 that would also begin on July 1, 2019, a $3.74 per month increase; the rate would increase to $23.40 on July 1, 2020. The schedule would then increase the solid waste rate by $0.10 each fiscal year beginning in 2021, bringing the rate to $23.70 in FY 2024. During the discussion Council reached a consensus favoring Option 2. If the base rate increase is approved in February, this would be the first significant solid waste increase since 2010; a $0.33 rate increase did go into effect in FY 2019. There were no increases for more than 8 years between 1/1/2010 and 7/1/2018. Residents who are serviced by private solid waste providers (Park and Sons, etc.) would not be impacted by the Surprise solid waste adjustment; learn who provides your solid waste utility services at surpriseaz.gov/mysurpriseaddress. Follow the Rate Study and learn more information about the proposed adjustments at surpriseaz.gov/utilityratesinfo. 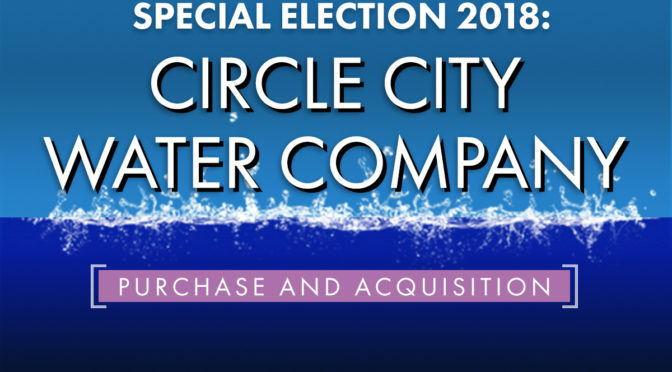 Voters have approved the May 15th Water Election, authorizing City Council to complete negotiations with the Circle City Water Company (CCW) for the possible acquisition of the utility. According to preliminary results released by the Maricopa County Recorder’s Office tonight 80% (14,676) of registered voters voted yes; 20% (3,615) voted no. CCW is a small water service company in the northern part of Surprise’s planning area and future water service area. This acquisition, which would require City Council approval, would provide Surprise with the company’s existing water infrastructure and grow the city’s allocation of Colorado River water by more than 38 percent. Colorado River water is currently the only renewable surface supply available to Surprise. Having a right to more surface water will help the city meet future demands and shortfalls. The purchase of CCW would be funded through the sale of current and future water portfolio assets. Official final results are expected from the county by Friday, May 18. The City Council will meet to canvass the votes at a Special Council Meeting, on Tuesday, May 22. This meeting will begin at 4:30 p.m., and will be held in the Community Room of City Hall, as Council Chambers will be closed for pre-scheduled equipment upgrade work. Happy spring! I hope you are enjoying the last of this great spring weather prior to very warm days in Surprise! 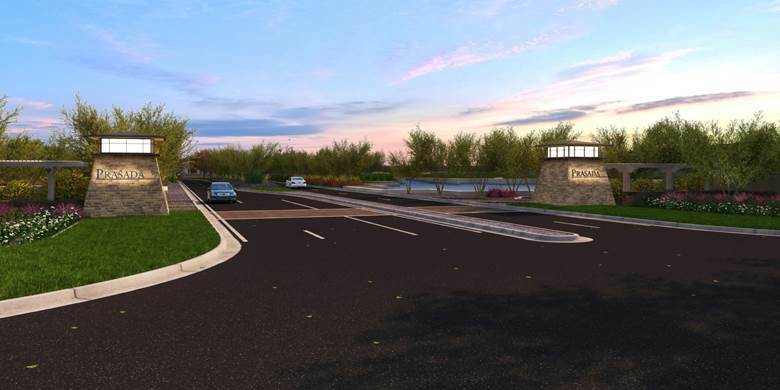 City Council approved a Preliminary Plat for Toll at Prasada, which is generally located west of Cotton Lane, between Cactus Road and Peoria Avenue. The Preliminary Plat covers approximately 772 gross acres and anticipates a maximum of 2,207 lots in eighteen (18) development parcels or “pads” to be developed over ten (10) phases. Phase 1 will include 463 of those lots in addition to roadway improvements to Cactus Road from Cotton Lane to 175th Avenue and Peoria Avenue from Cotton Lane to 175th Avenue. Phase I also includes five different lot products intended to reach a variety of customers. Amenities will include a club house, recreation center and golf course with abundant, beautifully-landscaped open space. 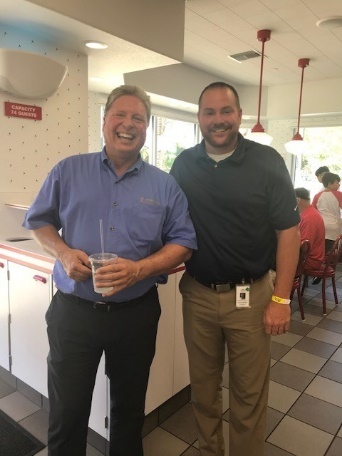 We have recently celebrated the recent openings and groundbreakings of businesses in Surprise that I am happy to share with you. 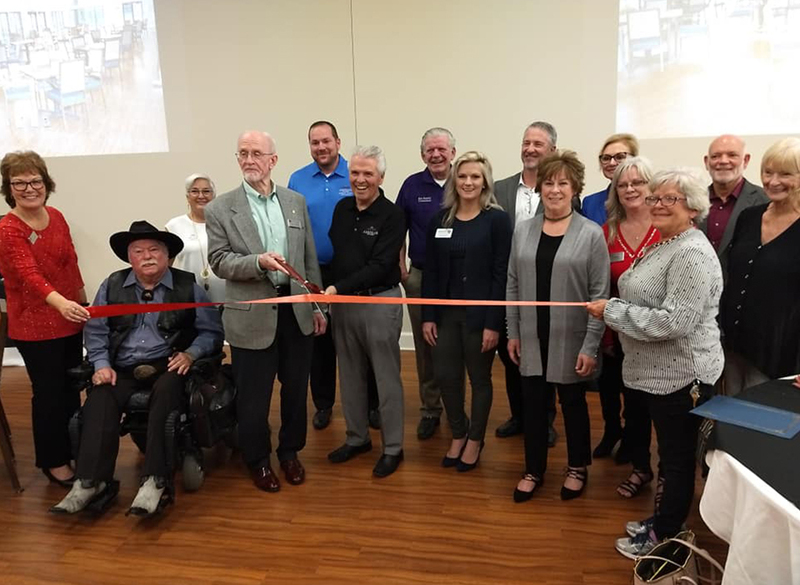 The Thompson Thrift development known as the Shops at Elm Street, located at the southwest corner of Civic Center Plaza and Bell Road, recently celebrated their grand opening. The stores in the development include Starbucks, Raising Cane’s, Tokyo Joe’s, and the soon to open In-N-Out Burger, Menchi’s Yogurt and Pieology. In March, we celebrated the grand opening of Ono Hawaiian BBQ. Ono Hawaiian BBQ is located at 13864 W. Bell Road. They are a fast casual dining restaurant with 70 store locations throughout Arizona and California. 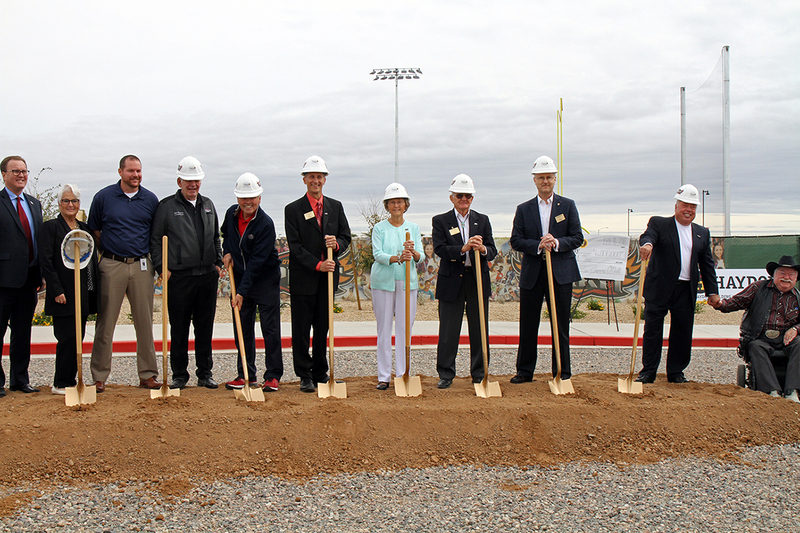 The groundbreaking for Trimaco also took place last month. Trimaco will be located in the Southwest Railplex area of Surprise. 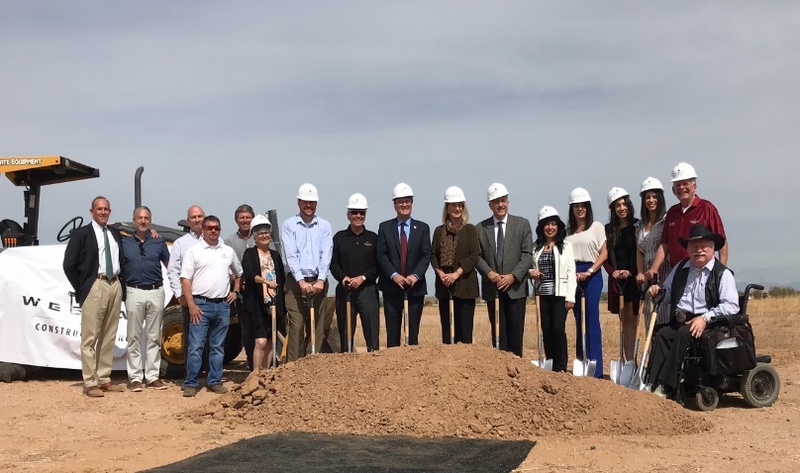 With the growing success of their business nationwide, they have outgrown their current west valley location and will be building a NEW 275,000 SF facility and employing over 110 people in Surprise! Trimaco manufactures paint accessories and professional floor protection products for paint retail, auto body and construction industries worldwide. This project represents more than just the current ground-up development, as the President of Trimaco is a long-term investor in Surprise. Finance Director Lindsey Duncan presented the Fiscal Year (FY) 2019 City Manager Recommended Budget to City Council earlier this month, that is built on the foundation of safety- for residents; city infrastructure/technology; and the city’s financial position. The most notable change in the $387.8 million budget is the inclusion of new capital projects with the passing of the General Obligation (GO) Bond election in November 2017. The bonds will fund $59.5 million of needed public safety, traffic congestion mitigation and pavement preservation projects beginning in FY2019. You can learn more at www.surpriseaz.gov/decidesurprise. The budget also includes $16 million in contingency capacity to purchase the Circle City Water Company should the special election be approved in May 2018. All uses of contingency require the approval of the City Council before it may be expended and this will be repaid through future water credit sales. Learn more at www.surpriseaz.gov/waterelection. Increased operating expenditures are focused on public safety, security, inflation factors, and mandated/contractual obligations. Public Safety was the largest recipient of increases to ensure the safety of residents. The Recommended Budget includes the expansion of the city’s ground ambulance service to include a fourth ambulance. The SAFER grant which was awarded to the Fire-Medical Department in 2017 ends in FY2019. The costs for these positions will be fully absorbed by the General Fund mid-year to maintain the enhanced service for residents. In addition, the budget addresses new safety/security needs with the funding of two additional police officers, an emergency manager, an information technology security analyst, and a court compliance coordinator. With the new requirements of Proposition 206, additional funding is programmed for the minimum wage increase of part-time employees and for paid sick time. The budget also includes additional funding for costs which increase over time such as costs of living, medical premiums, pension contribution rate increases and service-related increases; including water user rates, software licenses, library intergovernmental agreements, and transit intergovernmental agreements. The Recommended Budget includes funding for the Capital Improvement Plan (CIP) of $71 million. This includes utilizing $13 million in FY2019 for land, design, and/or construction of some of the GO Bond projects. The budget commits $21 million to maintain, secure, preserve, and/or replace infrastructure including roads, buildings, equipment and aged vehicles. The remaining capital is divided between utility-related projects ($15 million) and the functional areas of transportation, public safety, general government, and parks and recreation. 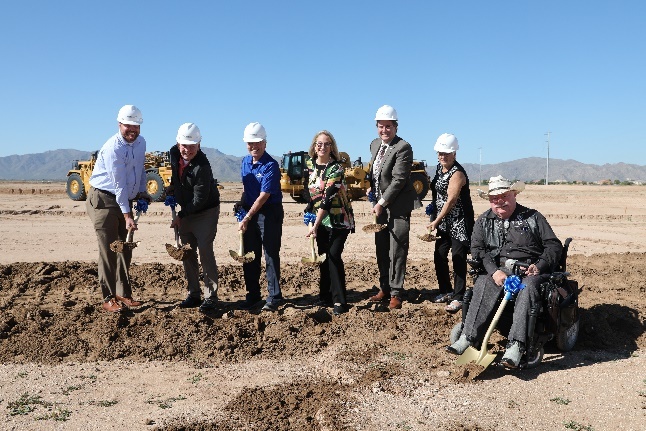 Funding carried forward (approximately $22 million) from the prior year will continue the work on Desert Oasis water supply facility phase 2, special planning area 1 recharge expansion, and City Center public infrastructure. Funding for additional operations and capital improvements is generated from growth in general fund revenue. General fund revenues are expected to increase by 10% or approximately $10.9 million above the current adopted budget. Recent escalations in housing activity as well as growing local sales tax account for most of the increase. A five-year forecast of city resources compared to uses helps ensure long-term financial sustainability and secures safety of the city’s financial position. The FY2019 Recommended Budget is available at www.surpriseaz.gov/budget. Council is scheduled to adopt a final budget in June. I welcome your involvement and input in setting the city’s funding priorities and encourage you to attend upcoming City Council meetings before the final budget is approved. We continue to strive to build a vibrant, dynamic city. City Council in partnership with city staff continue our positive momentum and works diligently towards achieving our residents’ collective goals. As the economic forecast continues to improve, I can assure you that we will continue to seek out ways to support smart and responsible growth to ensure a bright future for the city we all know and love! The staff in our newest department, Sports & Tourism, continue to work hard to host events and advertise our city’s best assets. To say the least, it has been a successful and productive spring for us. Earlier this year, we hosted several national tennis tournaments. For two weekends in January, we hosted the USTA 65+ National Tennis Tournaments that generating an outstanding 1,800 room nights and 1.000 participants! A month later, in February, we hosted the USTA Women’s $25,000 Pro Circuit which generated 235 room nights and 88 participants. 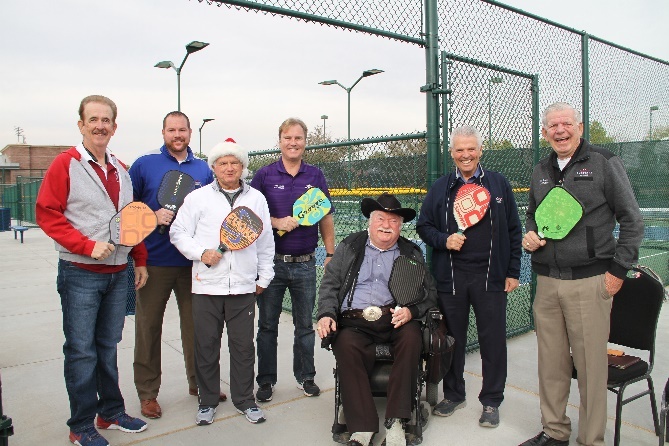 The USTA Tennis on Campus tournament was held in March and generated 600 room nights and more than 400 participants followed by the NTRP Tennis Tournament earlier this month that hosted 378 players. Surprise Stadium was not only the home for spring training this spring, but also several college tournaments. 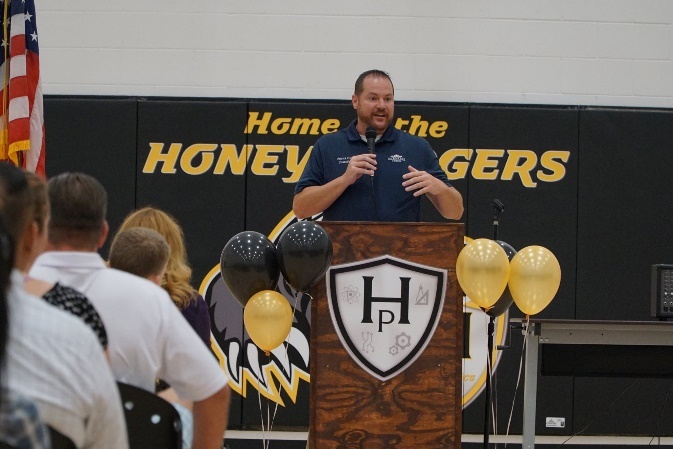 We hosted two college tournaments featuring baseball teams from the Big 10 and Pac12. Between the two tournaments, there were more than 22,000 in attendance and more than 600 rooms reserved at our local hotels! These tournaments also the highest attendance in the history of the tournaments in Surprise! Speaking of Spring Training, did you know that Surprise Stadium was ranked the #1 Cactus League Stadium by USA Today? Attendance at the stadium for the 2018 season was 190,043. 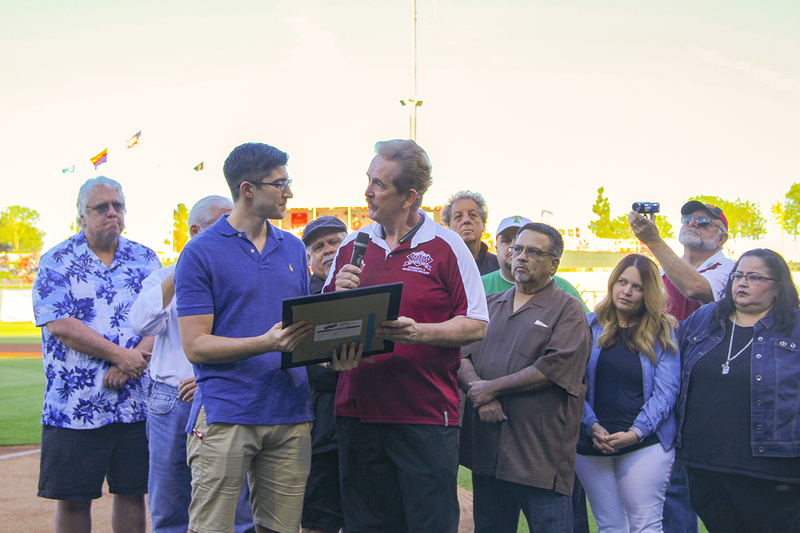 In addition to the college tournaments and spring training games, the stadium and neighboring Mark Coronado Park (formerly 8 Acre Park), hosted the Surprise Fine Art and Wine Festival, the West Valley Beer Festival, the Mayor’s Welcome Back Lunch, the Taste of Surprise and the inaugural Spring Training 5k. The 5k had 284 participants with 50% of them located outside of Surprise and 33% outside of Arizona! 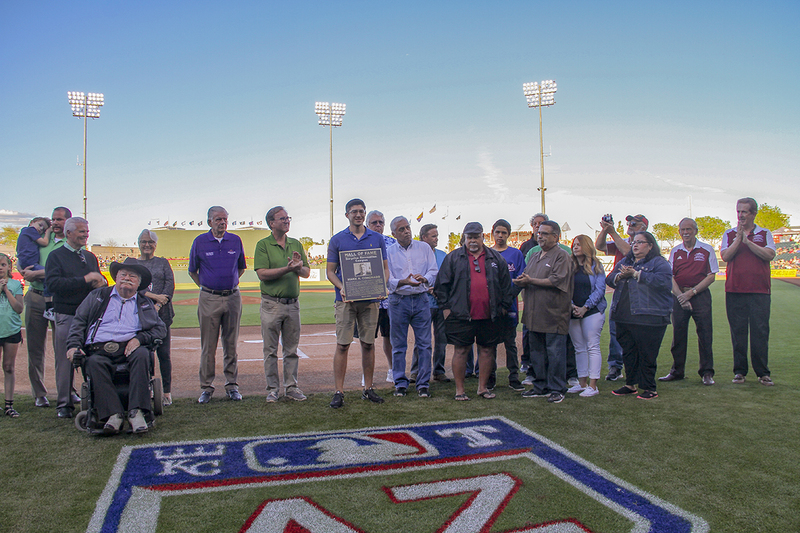 The City of Surprise honored the legacy of Mark Coronado on Saturday, March 17 with a Hall of Fame Induction Ceremony prior to the spring training game at Surprise Stadium. 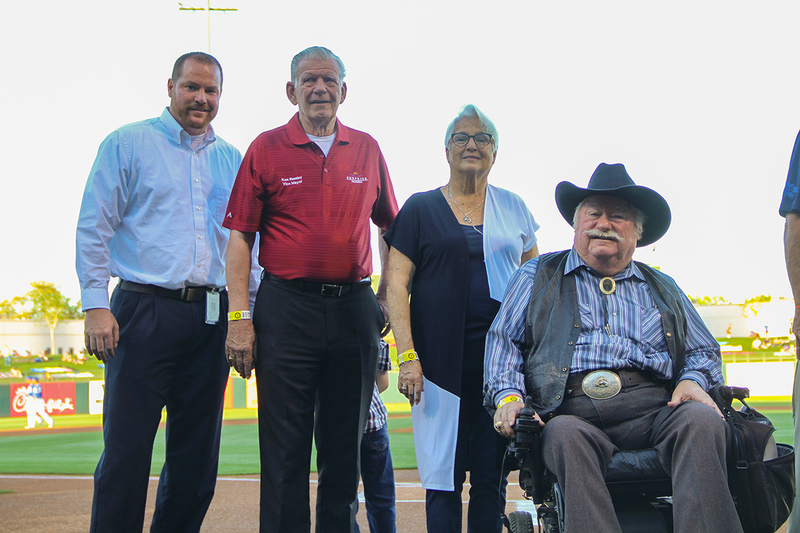 You will now see a Mark Coronado legacy seat in the Stadium, in addition to renaming 8-Acre Park to “Mark Coronado Park” with a memorial plaque at the park’s entry gate. Honorary street signs along Bullard Avenue now read “Mark Coronado Way”. Mark successfully led our Community and Recreation Services Department from 2000 until his death last summer. Mark is greatly missed by all of those who worked with him in the city. His impact on baseball, youth, recreation programs, parks, our city and our staff will never be forgotten. He worked tirelessly to build a better Surprise. Mark’s legacy will now continue to be a permanent part of the city. event runs from 8 a.m. -11 a.m. Swim lesson assessments, swim team tryouts, CPR, safety demonstrations, Native Air helicopter and much more! May 21 – Adult Sports Summer registration begins! Ages 6 years and younger are invited to enjoy games, prizes, crafts and more! 10 a.m. – 12 p.m. $5 for Residents/$8 Non-residents. Parents and children under 6 months are free. May 26 – Pools open for Summer! Surprise Aquatic Center and Hollyhock Pool open for public swim at 12 p.m. See website for additional hours and days per location. Baseball game in the stadium, gates open at 4:30 pm. Pool Party at Surprise Aquatic Center, doors open at 6pm. Fireworks begin approximately 8:30 pm. Surprise voters will decide whether or not to authorize the purchase and acquisition of a water service company in a May 15 Special Election. City Council approved sending the question to ballot at their November 7th Regular Meeting. Circle City Water Company (CCW) is a small water service company in the northern part of Surprise’s planning area and future water service area. This acquisition would provide Surprise with the company’s existing water infrastructure and grow the city’s allocation of Colorado River water by more than 38 percent. Educational public meetings are scheduled for April 18 at 4 pm at Sun City Grand, Sonoran Plaza – Palms Room, 19789 N. Remington Drive and on April 19 at 6 pm at Sierra Montana Rec Center, 14861 N. Spring Lane. If you have time and would like to become more active with the city, there are opportunities to volunteer. The city is seeking volunteers for Surprise Day of Service! The event will be held on Saturday, May 12 from 8 am until 12 noon. On the day of the event, volunteers will check in at the Surprise Senior Center, located at 15832 N. Hollyhock Street. Transportation will be required to get to most service projects which include painting, cleaning, trash removal, landscaping and much more. Light refreshments for breakfast and lunch will be provided. If you are interested, please contact Jason Hughes at 623.222.3239. Additionally, we are accepting applications for a variety of Commissions. All resident positions are voluntary. For more information, please visit https://www.surpriseaz.gov/3100/Welcome. Applications are available for pick-up immediately and can be picked up from the City Clerk’s Office from 8:00 a.m. to 5:00 p.m. Monday – Friday – 16000 N. Civic Center Plaza. Applications are also available on this link. Please submit applications to the City Clerk’s Office in person or by e-mail to: clerk@surpriseaz.gov. It has been a busy first quarter of 2018 as you can see from some of the pictures I have included. I am honored and humbled to continue to serve you. I cannot think of a higher honor than having your trust and support. Thank you! What’s happening in your city? Get answers at the D3 Meet & Greet! There are a lot of great things going on in Surprise, and I have two meetings coming up where you can get updates and ask questions! My D3 Meet and Greet is this Saturday, February 10 at Jim’s Burger and Eggs, 17019 W. Greenway Road. I will be there from 10 a.m. – Noon and would love if you could stop in and chat for a bit. This is an informal way for me to learn about the issues that are important to you and help answer any questions you may have. Can’t make this one? I host my D3 Meet and Greets every second and fourth Saturday of the month at the same time and same location. 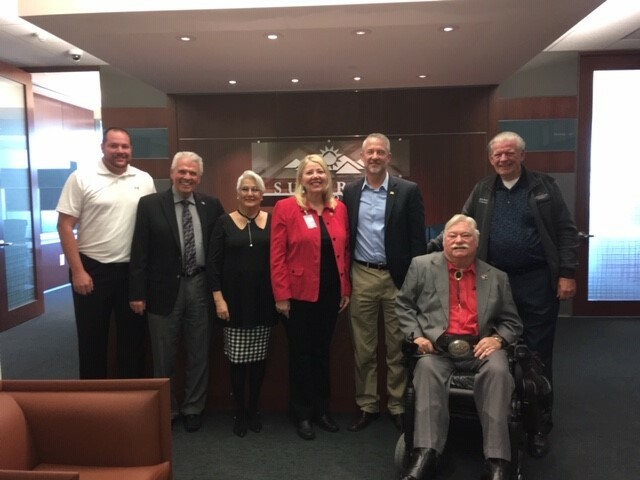 The City of Surprise Fiscal Year 2019 budget-building process kicked off at the City Council’s Work Session, 4 p.m., Tuesday, February 6. This was the first in a series of presentations regarding the overall development of the budget. The first presentation provided a general overview of the city’s budget, including revenue sources, city funds and expenditures. The presentation also highlighted outside issues that influence the outcomes of the budget process. View presentation. Future Council Work Sessions and Regular Meetings will include additional presentations related to budget development, including topics on Capital Improvement Projects and continued operating budget discussions. The Recommended Budget is scheduled for release in April, followed by months of Council and public review that will result in the adoption of a balanced FY2019 budget in June. FY2019 begins July 1, 2018. Council agendas are posted online at http://agenda.surpriseaz.gov at least two business days before the meeting. City Council meets the first and third Tuesdays of each month. Work Sessions are at 4 p.m. and Regular Meetings begin at 6 p.m. All meetings are carried live on Surprise TV for cable customers and streamed online at www.surpriseaz.gov/surpriseTV. Happy New Year to each of you! Great things are on the horizon for us in Surprise this year. With the passing of the Decide Surprise GO Bond, several major projects- that have been on the drawing board- will begin to take shape. City Council has been working hard to lay a strong foundation for new jobs and thoughtful development. You will continue to witness the work of the Council this year. With the New Year comes a sense of renewed energy and optimism. I hope you share that optimism with me! This month, I will start hosting bi-monthly meetings so we can get to know each other. These meetings will be held at Jim’s Burgers and Eggs, 17019 W. Greenway Road, beginning at 10 am. My first meeting will be held on this Saturday, January 27. In addition, I will continue to host my District 3 Community Meetings. My next meeting will be held on February 21st at 6 pm. Staff will accompany me and provide city updates. If there are any particular topics you’d like to see addressed, please let me know. I look forward to seeing you soon. Last November, registered voters in Surprise graciously approved the three General Obligation (GO) Bond questions in the areas of Public Safety, Traffic Congestion Mitigation and Pavement Preservation. The three questions represented 10 capital improvement projects. The city has established a webpage to update our voters on the projects so you will see when and how the investments are made. This website will be updated regularly through 2022, when all projects are expected to be complete. The city recently released the anticipated procurement schedule for some of the projects. The complete schedule, project timeline details and additional information is available at www.surpriseaz.gov/decidesurprise.To view the formal bid posting please visit Anticipated Procurement Schedule for Bond Projects. Surprise voters will decide whether or not to authorize the purchase and acquisition of a water service company in a Special Election slated for May 15. City Council approved sending the question to ballot at their November 7th Regular Meeting. Colorado River water is currently the only renewable surface supply available to Surprise. Having a right to more surface water will help the city meet future demands and shortfalls. The purchase of CCW would be funded through the sale of current and future water portfolio assets. Educational public meetings will be scheduled ahead of the May 15 Special Election. Meeting dates and locations will be posted on www.surpriseaz.gov. Additionally, an Information Pamphlet will be mailed out in April to all registered households in Surprise. We have some new businesses and developments in District 3 and Surprise! A new retail development located at Waddell Road and Loop 303 is under construction. This 9,000 square foot retail center will include a Sprint Store and American Best Contacts. 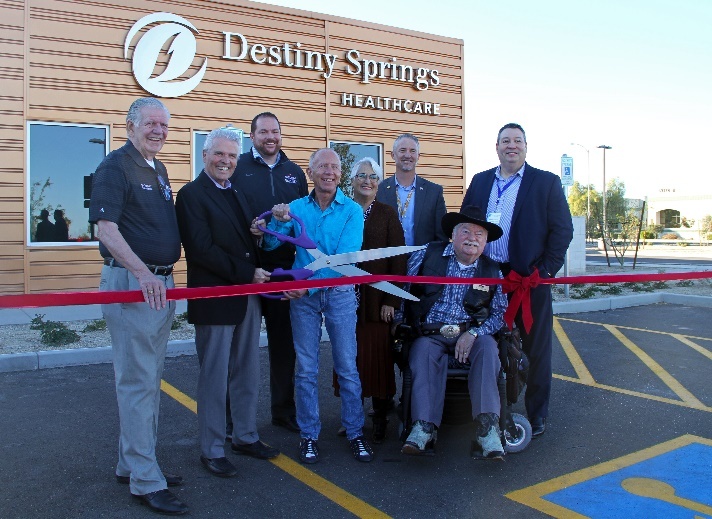 Destiny Springs Behavioral Hospital is also under construction, at Bell and Dysart roads, behind Cobalt. The 70,000 square foot hospital will support 125 jobs. Thompson Thrift, located at Bell Road and Civic Center Plaza, continues to grow. They are currently completing tenant improvements, but in the very near future, we will see the openings of Tokyo Joe’s, Starbucks, Menchie’s Yogurt, and Pieology. In-N-Out Burger will also be opening soon, immediately next door to these restaurants, in their new 6,000 square foot restaurant. Hilton Garden Inn is building a 78,000 square foot hotel, south of Bell Road and west of Bullard Avenue. Recent new businesses that have opened include Greulich’s Automotive, Raising Cane’s and Milam Glass, to name a few. As you have most likely noticed, District 3 continues to grow. With regards to Community Development, there are several projects in various stages. Zanjero Trails final plats, located at the southwest corner of Cactus and Perryville roads and the northwest corner of Peoria Avenue and Perryville Road, are under review. This project would consist of 361 lots. City Council will be considering this project in the next few months. Avilla, which is located at the northeast corner of Reems and Waddell roads, has 127 units in building plan review at the moment. This multi-family project rezoning request and site plan were approved by both the Planning & Zoning Commission as well as the City Council. Other projects in various development stages include Toll at Prasada which will be located west of Cotton Lane between Peoria and Cactus roads. This plat includes 2,207 lots over 792 acres in several phases. Heritage Farm rezone and preliminary plat, located at the southeast corner of Waddell Road and 175th Avenue, will consist of 137 lots on 33 acres and the Rancho Trugold rezone and preliminary plat, located north of Sweetwater between Cotton Road and 175th Avenue, will consist of 240 lots on 63 acres. The Surprise Stadium box office, Spring Training home of the Texas Rangers and Kansas City Royals, is open for ticket sales. The 16th Annual Surprise Spring Training season will begin Saturday, February 24, featuring the Kansas City Royals against the 2017 National League Champions Los Angeles Dodgers. Surprise Stadium will host 31 games this season which include matchups against all teams in the Cactus League and two double headers March 12 and March 17. Monday-Friday: 8 a.m. – 4 p.m. Season ticket packages and single-game tickets will remain on sale online and by phone at 623.222.2222. Add to your baseball experience, and purchase your Surprise NCAA College Baseball tickets for 2018! Surprise Stadium will host two NCAA College Baseball tournaments, featuring teams from the BIG 10, Mountain West, and PAC 12 conferences, including perennial power Oregon State. Individual game tickets and tournament passes will go on sale January 6. College individual game tickets and tournament passes may also be purchased over the phone by calling the box office at 623.222.2222. For questions or more information, please check our website at SurpriseSpringTraining.com. The City of Surprise, in coordination with State 48 Brewery and Food Truck Friday West, continues to present Sunday in the Park Food Truck Festival with live music! All events are held at the 8-Acres Park, 15960 N. Bullard Avenue. Event admission is free; food and drink are available for purchase. There is always a variety of delicious food trucks, as well as an assortment of craft beers and wines provided by State 48 Brewery. This is a great opportunity to enjoy live entertainment and unique food trucks that the whole family will love. Don’t forget a blanket or a lawn chair. Dogs must be on leashes. Spring Eggstravaganza – Saturday March 31st on the Kansas City Royals Practice fields. Gates open @ 7:30 am. First egg hunt starts at 8:20 am. Mr. and Mrs. Bunny, face painters, food and inflatables and more! The Royals are holding an adaptive baseball clinic on Saturday, February 24th at 4:30 pm at Dreamcatcher Park. CRS is currently offering registration for a Spring Break Soccer Camp that will be held March 20-22 for ages 7-12. Registration is also ongoing for baseball, softball and volleyball leagues, along with baseball and softball skills classes. Spring Break Camp will be held March 19-23 from 6:30 am-6 pm at Sierra Montana Recreation Center. The City of Surprise Spring Break Camp will keep your child busy during the school break in a fun, supervised environment. Children will enjoy games, crafts and field trips. Please have your child bring a sack lunch, and afternoon snack will be provided. Space is limited, so please sign up early to secure your child’s registration. Cal Ripken Day Parade of Teams will be Saturday, March 24. Coaches and players from the City of Surprise Cal Ripken and Babe Ruth Softball leagues will be recognized in a parade of teams into the stadium onto the field before a major league spring training game. What do you love about living in Surprise? What services do you value most? What can the city do better to improve the quality of life in our hometown? You can share your thoughts in the 2018 National Citizens Survey (NCS)! What you tell us in this survey helps to identify priority projects for Surprise and indicates where limited city funding should go in order to provide the services you most desire. This mailed survey, conducted by the National Research Center of Boulder, Colorado, examines residents’ responses on topics ranging from traffic flow to public safety to senior and youth services. The scientific survey sample equals 1,500 surveys that will be mailed to homes throughout the city. All survey results are anonymous. The city does not know which addresses have been selected by the third-party surveyor and only receives the aggregate results. Beginning January 29, postcards will arrive at the selected addresses advising that the survey is on the way. The survey itself, along with a postage-paid return envelope, will arrive February 5. To be sure that selected residents receive their survey, a second survey will be mailed as a follow-up on February 12. Residents who complete and mail the first survey can simply recycle the second one. Selected households will also receive instructions for how to complete the survey online. The last NCS the city conducted was in 2015, and 90% of residents indicated they would recommend Surprise as a place to live, a rating that is “much above” surveyed cities of our size. Residents told us Safety, Mobility and the Economy were most important to them. Respondents said we need to work on improving transportation/transit options, local job choices, education and resident volunteer opportunities. 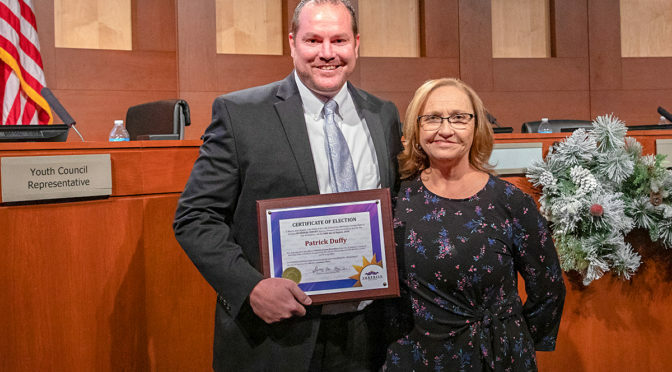 Since the 2015 survey, the city, in partnership with the Arizona Department of Transportation (ADOT), completed the Bell-Grand Intersection Improvements; Greenway Road was widened; residents passed a General Obligation Bond to fund projects in Public Safety, Transportation and Pavement Preservation; and our Human Service and Community Vitality Department continues to grow volunteer opportunities, most recently hosting nearly 400 volunteers during the city’s 2nd Annual Dr. Martin Luther King Jr. Day of Celebration of Service. 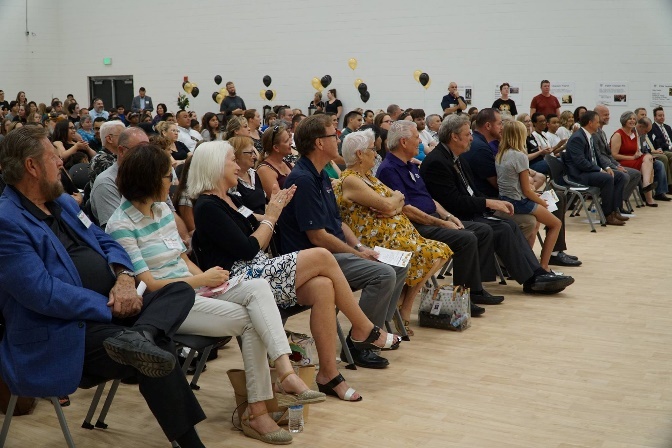 On the education front, Ottawa University opened a campus at City Center; West-MEC’s new northwest valley campus opened last summer and Highland Prep began classes last fall. Additionally, more than 3,000 new jobs were created in Surprise since our last survey was conducted. If your household receives a survey, please take the time to complete it and mail it back. By participating, you are helping to make Surprise an even better community! Results are expected by early summer and will be shared online at www.surpriseaz.gov. Our Surprise Youth Council (SYC) has been busy! They will host their 2nd annual rooftop party for local high schools students at City Hall. This year, Youth Services has secured additional funding from the Surprise Youth Foundation in order to increase the atmosphere and number of activities from last year’s successful event. Attendees will enjoy music, arcade and lawn games, street tacos, and more! The event will be held on February 24 from 7 until 10 pm. SYC recruitment is right around the corner. Recruitment will be ongoing during February and March through numerous outlets. For more information, please visit www.surpriseaz.gov/syc. In closing, thank you for your continued support. I am always available for my constituents. You can email me at patrick.duffy@surpriseaz.gov or call me at 623.222.1323. Additionally, you can follow me on Facebook at www.facebook.com/PatrickDuffyD3.